The solo exhibition includes 15 artworks by Ms Sunny Chyun, 2017 UOB Painting of the Year (Singapore), Established Artist Category award winner as its next artist showcase at the UOB Art Gallery. 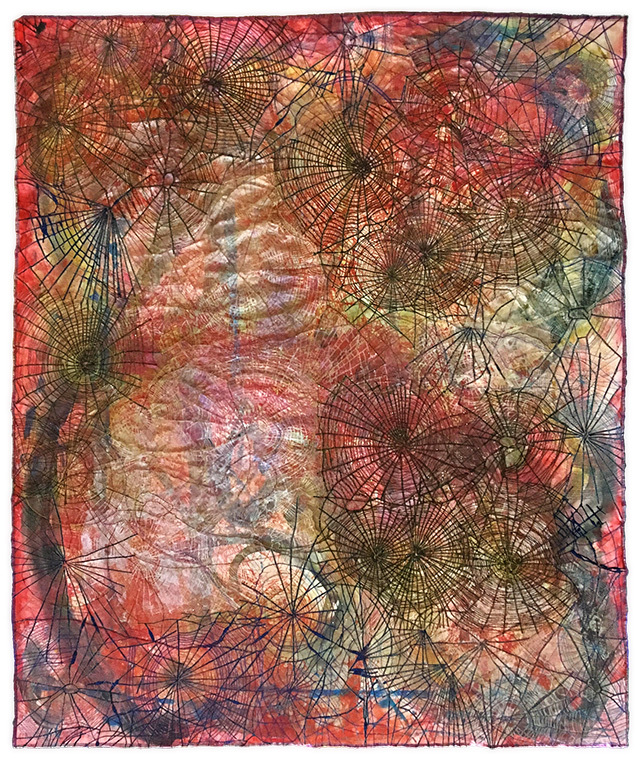 In her latest exhibition, What Dreams Are Made Of, Ms Chyun uses different images from her dreams, such as precious gems, eggs and spider webs as the inspiration for her artworks. Ms Chyun’s artworks are often double-sided; changing their appearance according to the direction of light, how they are installed and where the viewer is standing. Ms Chyun’s artworks are created with different types of media such as paint and canvas and feature the use of different materials such as gilded thread, sequins and glow-in-the-dark threads. These elements combine to create a visual treat which unlocks the imagination of her audience.